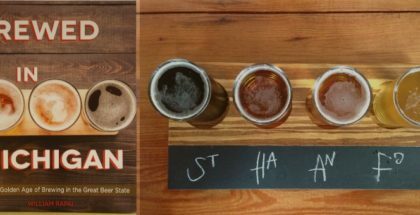 If you’re just beginning to get serious about beer, I envy you, because reading Tasting Beer for the first time is an exciting, eye-opening experience. 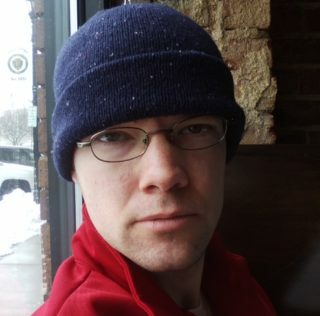 Randy is not only extremely knowledgeable and adept at conveying that knowledge in intuitive, logical ways, he’s also a highly enjoyable writer. Seeing beer through his eyes doesn’t just help you learn more about beer, it helps you care more about beer. Randy presents a holistic appreciation of our favorite beverage, encompassing sensory evaluation, historical and cultural information, insights on ingredients and brewing process, and—perhaps most importantly—the significance of when and how we serve and consume beer, whether casually or formally. Attractive photography and well-designed graphics make reading this book almost as enjoyable as the beer you should be drinking while you do so. 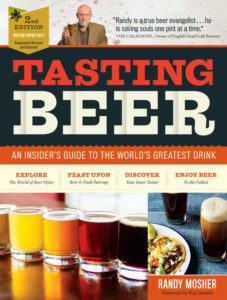 Tasting Beer was first published in 2009, and a revised second edition was published in early 2017. 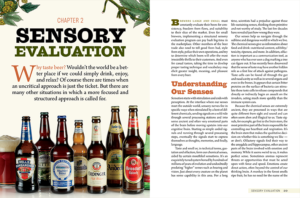 The new edition features over a hundred additional pages of information, including a new section on draft systems—which will be beneficial to anyone preparing for their Cicerone exam—and an expanded (and fascinating) section explaining new findings in sensory science that help us better understand how our senses work together when we’re evaluating beer. The style summaries have been updated to reflect evolutions in popular beer styles in the eight years since the first edition was released. Almost every section of the book features new information. In the years since I decided to wander down a long path toward a fuller understanding of beer (I am still wandering), I have read the first edition of Tasting Beer several times and referenced specific pages and chapters more times than I can count. It took on the significance of a religious text when I was studying for my Cicerone Certification. Reading through the revised second edition, I was pleased to find the wonder is still there. Randy has such a gift for getting us to look beyond technical details (as important as they are) to see the beer in our glass as a story, a conversation with a brewer, a liquid that evokes memories, emotions, and myths. Pour yourself a glass of something good and crack open the spine of this new edition of Tasting Beer. Your favorite drink will never be the same again. I recently had the great privilege of talking with Randy about this new edition of Tasting Beer and the current state of American beer. I hope you enjoy our conversation as much as I did. Let’s get to the most important question right away: what beers have you been enjoying lately? Well, since I have a role in two breweries here in Chicago, I tend to focus on those, whether it’s critical or just grabbing something from the fridge. So that’s a mix of everything from a blonde to farmhouse to New England IPAs to more exotic beers. Also, because it’s early autumn, I try to get my hands on some Oktoberfests. I always like Metropolitan’s Afterburner, and recently I had Spaten-Goose Island collaborative version, served out of a 200-liter wooden faß. I’m not sure what Goose’s contribution was. It tasted pretty Spaten-y to me, which is to say, pretty fine. As part of our own development process, we’ve been trying New England-style IPAs whenever we can get them. There’s a pretty good range there–it’s a very challenging style to brew correctly. We’re learning a ton and enjoying the results. The second edition of Tasting Beer is over a hundred pages longer than the original. 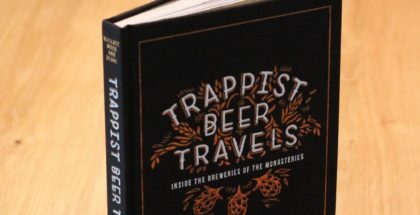 What made you decide to expand on a book that was already viewed by many students of craft beer as a canonical text? Things change. I’ve learned a lot in the last decade, and the industry and beer styles have changed also. 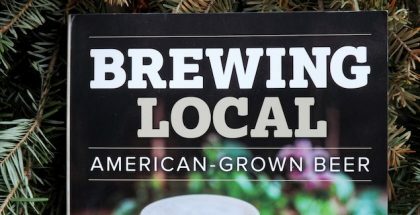 In addition, the book has grown into a certain role in craft beer, and I thought it was appropriate to push it further in that direction, to make it a little more comprehensive, authoritative. Vocabulary is really hard for people, because our brains are not structured to make it easy. Everybody thinks it’s just them—but it’s all of us, at least until one gets some training. 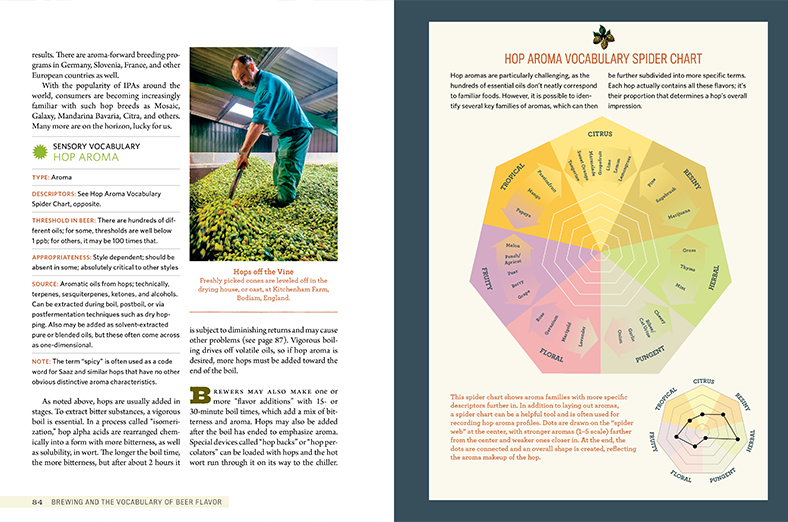 I really tried to focus on that and give people a lot of ways to understand it, from simple “file card” pieces on each, to more graphical charts showing relationship between flavors, some focusing on ingredient groups: malt and hops. One of the new sections for this edition covers draft systems. 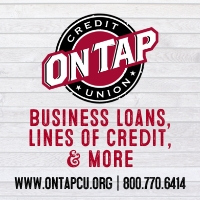 Since the Cicerone program recommends Tasting Beer for candidates preparing for the exam, was this section added specifically to address that area of the curriculum that had been missing from the first edition? Yep. I thought as long as they were generous enough to recommend it, I would make an effort to make sure it fit their needs. We never coordinated things the first time around, although their program and my book come out of the same broader knowledge base anybody calling themselves an expert needs to be familiar with. I also sent Cicerone the text and let them go through it. Pat Fahey was particularly helpful in challenging some points I had in there, so that was a really helpful process and the book is stronger for that effort. In addition, I tried to expand both the breadth of beer’s vocabulary in the book as well as the way it’s presented. I created several new graphic charts to help people understand the relationships between aromas. It’s hard to picture a person like yourself having much left to learn about beer, and yet you often point out that you’re always learning more. At this point in your career and life as a beer aficionado, what does it mean for you to still be a student of beer? Well the thing about beer is that it takes you so many different directions, from prehistory to sensory neuroscience (I’m reading Gordon Shepherd’s Neuroenology right now) to yeast genomics and way, way more. These days, there are lots of new things coming to light about hops, so that’s pretty fun. There is plenty to learn about all the other kinds of flavorings that can be used in beer, and I’ve had three trips to Mexico this year and learned a lot about some of the herbs associated with Prehispanic cacao drinks, so I’ve been digging into that. And of course, the old books are full of amazing tidbits. One of the things I appreciate most about your beer writing is your assertion of the importance of time, place, season, setting, and atmosphere when it comes to properly appreciating beer. You’ve even written an entire book devoted to enjoying different beers at appropriate times of year (Beer For All Seasons). Besides the commercially popular seasonals like Marzen, festbier, and pumpkin ale, what beers are you looking forward to transitioning into as we move toward Fall, and do you have any personal Fall drinking traditions you can share with us? I do enjoy the change of seasons, and of course we’re coming into Oktoberfest season as I mentioned. One thing that’s happened recently is that many seasonals are falling away, swept aside by a tide of IPAs. I think people kind of got burnt out by pumpkin beers, and honestly, a lot of them were pretty overbearing. There’s always room for something celebratory around the holidays, although as a brewer you have to be careful to keep the seasonal designation fairly general, lest people drop them like a slippery stone when the holidays are done. It’s kind of funny that when I started drinking beer in the 1970s, there was almost no variety in beer, but come February, brewers like Pabst and Schlitz actually brought out bock beers. They weren’t all that good—just a little caramel coloring, I think, and perhaps a tad stronger but at least it was something. For whatever reason, people have a hard time with dark beers, excepting perversely imperial stouts, especially if they taste like cake or candy. Summer beers are stronger than ever, and are a fun challenge to create. One of the most popular and romanticized families of beer right now is farmhouse ale (however one chooses to define that). While you nod to the classic story of saison’s farmhouse origin, you point out in your book that the fanciful mythology of the style is based on very shaky research at best. How do you feel about these romanticized stories that are prevalent for styles like saison, IPA, and many others? Are they important to our appreciation of a style whether true or not, or are we better off with pure accuracy? Saison’s an interesting case. If you look at Belgium 150 years ago, what we would think of as Saison really doesn’t exist. Even in Michael Jackson’t first World Guide to Beer, there’s just a single sentence in there saying that some brewers in Southern Belgium call their blonde beers “saisons.” According to the Belgian brewer/author Lacambre (1851), the use of the word saison generally indicated a beer brewed in the proper brewing season, meaning winter, and indicates a stronger beer. So, that doesn’t quite jibe. Liège saison, the only style in Lacambre with saison in its name, is from the wrong part of the country, is the wrong color–wrong everything, so another conundrum. “Farmhouse” is equally problematic, unless you consider a multistory brick building surrounded by a compound, and employing perhaps 20 people, which is what the typical rural brewery looked like by the end of the 19th century. What do you think about the current state of beer writing in America today? I think there’s quite a bit of good writing out there. For me, outside of clear and readable language, is new information and a point-of-view that challenges the readers preconceptions and changes the way people think. That’s a tough challenge and it doesn’t work for all possible topics. Five years ago it would have been impossible to foresee the rise of then obscure styles like gose and Berliner weisse. While it’s impossible to predict, do you have a feel for what historical styles might start trending in American craft beer next? Very good question. If I knew, I would start brewing them. I brewed gose, grodziske and sahti for the late beer writer Michael Jackson to serve at an event here in Chicago in 1997, but it took until about five years ago and the development of kettle souring to make them widespread. It’s very hard to say what the future looks like. In terms of forgotten historical styles, there aren’t too many of them out there that have a chance to appeal to a wide audience. There’s so much focus in the market for IPAs and their variants, that I would be happy if people would just take a giant risk and try a dark beer—that’s not a pastry-inspired imperial stout—once in a while. We’re in a patch where intensity is particularly valued, and while there’s nothing wrong with that, it’s not how people generally drink beer. I’d really love it if the market was a little more appreciative for sessionable but complex beers. I love an good IPA when it’s well done, but it’s just one of a hundred styles. I remember a world with absolutely no variety in beer. I just would never want to go back there. What’s next for you from a writing standpoint? 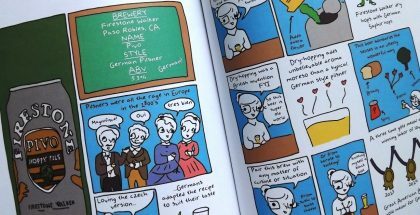 Are you already ruminating on your next beer book project? I’m still collecting material for something on history, but frankly it’s a daunting prospect that could take a decade to do well. I’m also circulating a proposal on a short book revolving around the mysteries of the sensory experience for a more general audience, but using beer as the example. We’ll see if there’s a published interested. I could end up doing some kind of digital publication.